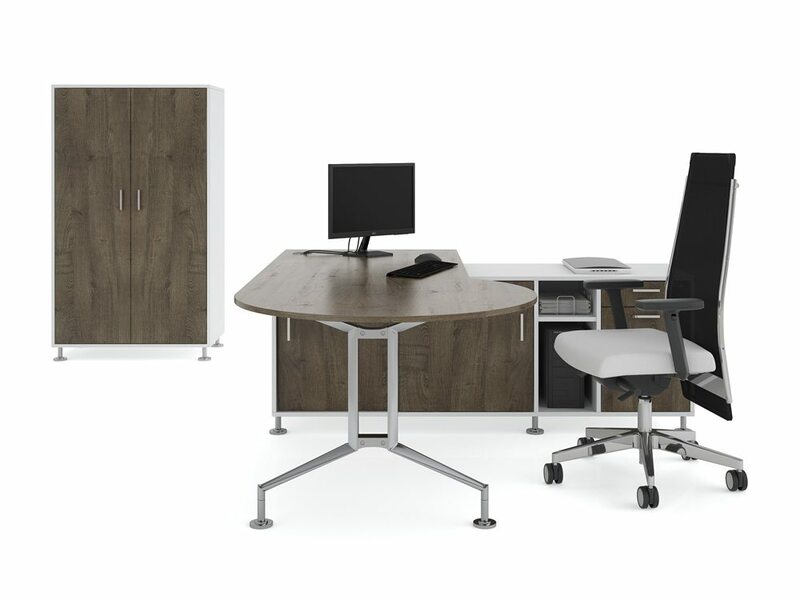 The Ensa Executive Desking Range features the beautifully finished aluminium leg frame from the Ensa table collection, the leg can be adapted to suit a wide range of desktop designs and shapes. 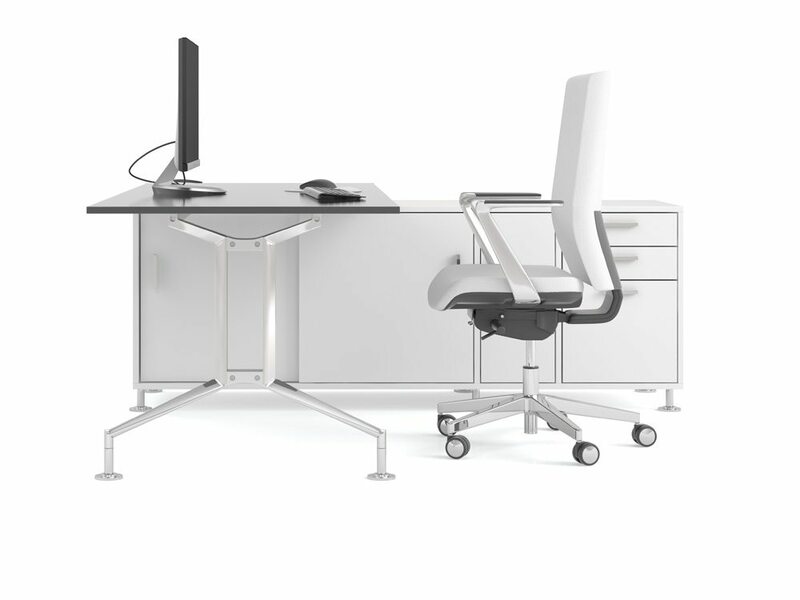 The Ensa executive desk can be specified with an array of setups. 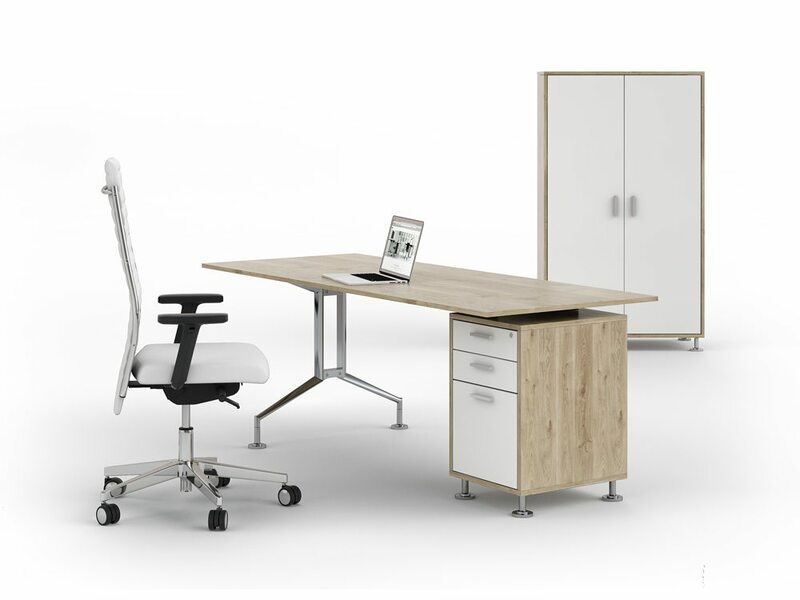 Meetings are made effortless with either a D-End top or integrated P-End table. 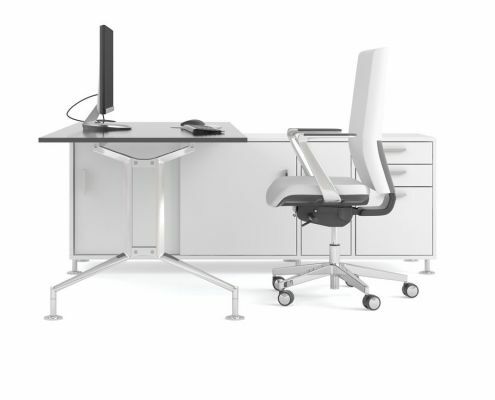 From a simple desk with a mobile pedestal, to complete workstations including support storage returns, drawers and optional CPU holders. 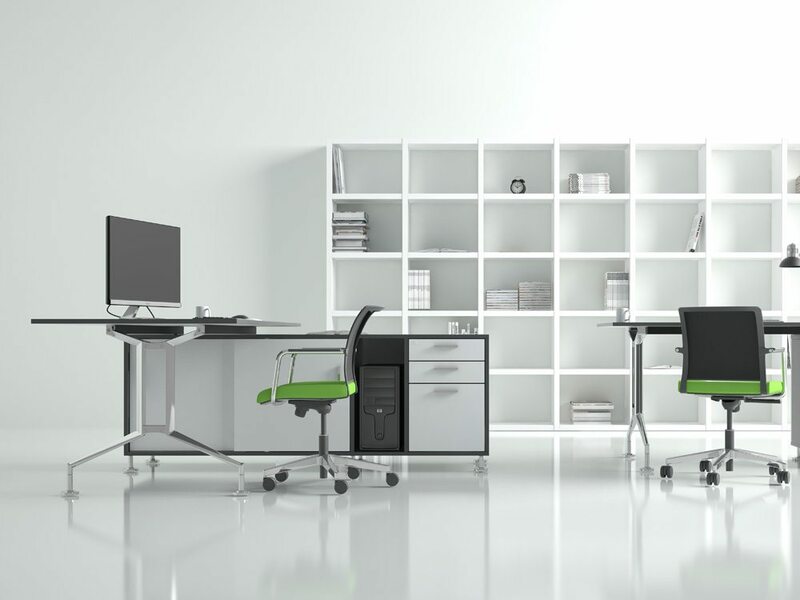 Recommended finishes are Standard Veneers, Laminate, Melamine and Glass. The triangulated legs are beautifully detailed and the steel cables achieve solid stability that defies its minimal looks.